It is said that there are only two things that are certain in life and those two things are death and taxes. Well, we here at Modesto Junk Removal believe that there are actually three things that are certain in life. Those three things? Death, taxes, and the accumulation of junk and trash. Let's face it. Human beings are some serious collectors of junk and trash. I guess it's just in our nature to kinda hang on to things we acquire through life even though we know we need to toss them at some point. C'mon, how long are you going to hang onto that old, sun-dried, sun faded, outside patio furniture that no one has sat on since the summer of 08? When's the last time you parked your car in the garage? Seriously? When? You keep wanting to get that trash and junk outta the garage and start making some room for it but you just keep putting it off, and hey, we don't blame you. Who wants to waste an entire day outta their weekend doing that? How bout that stuff you got piling up on the side of the house? There's that old cooler that hasn't cooled a beer in years, a busted up bookshelf that never had a book placed in it once, and that old piece of furniture your awesome brother-in-law was so gracious in giving it to you. (Let's be honest, he wanted that junk removed too.) Oh, how bout them old holiday decorations you haven't set up in years? You know what we're talking about... That old inflatable jack-o-lantern that don't inflate quite right and Christmas lights so tangled up that they look more like a ball of wire than a string of light. ​Will Get That Crap Outta Your Life! 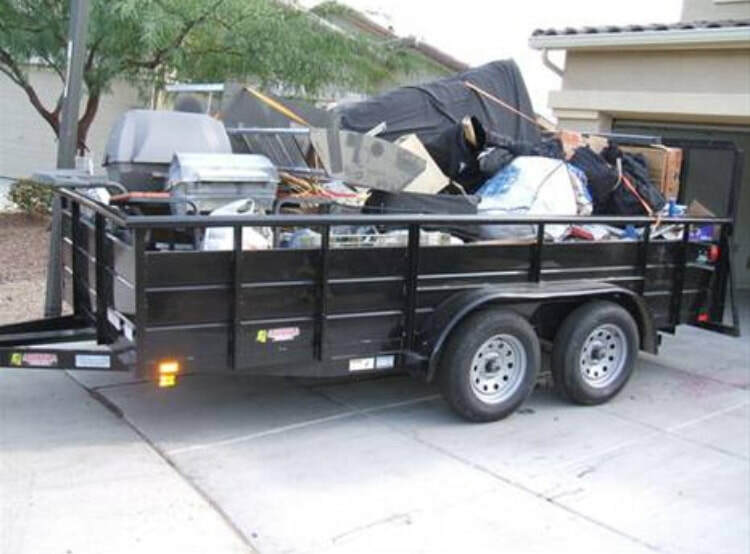 ​It's a good thing that you happened to stumble upon our website here online because we, just so happen, to provide the best trash and junk removal service Modesto has to offer. Well, it's really quite simple. We focus on providing the most honest, reliable, and affordable junk removal service in the in the area. Just cause we work on picking up other people garbage, get dirty, sweaty, and stinky doesn't mean that we don't like what we do. Heck, we might even say we actually enjoy it! It's a difficult thing to describe but it really does put a smile on our faces to provide a professional service and remove all that clutter out of our customers' homes and yards. We love to see the relief on the faces on our customers to see the clutter get picked up and hauled away. It's a weird thing to see how a pile a junk can stress people out and knowing we provide such a valuable service gives us a great feeling. We also know that our customers have all the intention in the world to haul it away themselves but they just keep on putting it off. Many of them work hard and just don't want to waste any of their "time off" lugging trash away. We haul it away for them and save them the time and strain of having to do it themselves. 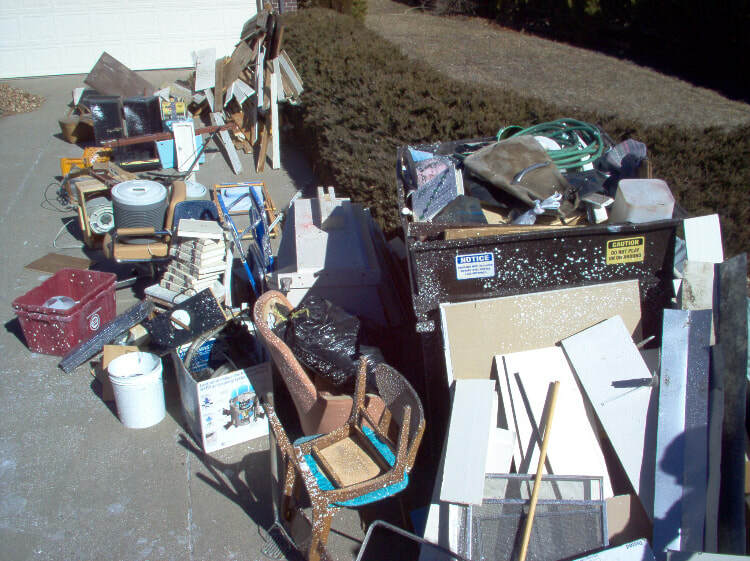 If you're wondering just what types of junk removal and trash removal we do, the better question you might want to ask is what junk and trash WE DON'T remove. As you can see, we can pick up just about anything. To get a hold of us here at Modesto Junk Removal simply tap on this number here 209-500-4066 and we can give a FREE estimate on what it's gonna cost to haul away your trash and junk. All junk is different and some items cost more depending on what it is that we pick up. For example, tossing out grandmas old fridge with Freon takes a special type of disposing of and cost more than say, a pile of old roofing shingles. 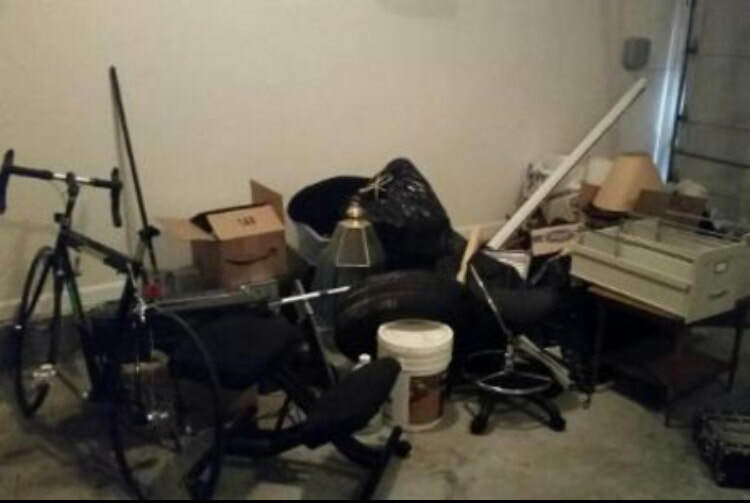 When you give us a call, we can break down what the prices will be and we've even come up with the clever concept of simply sending us a picture of the item, trash, or junk and we can give you a ballpark cost. Once you decide that you've been fed up looking at that pile of stuff and want it outta your life, we show up and start taking care of business. Let us tell you right up front that you don't gotta worry about a couple of grungy guys, sporting tank tops with torn holes in them, and baggy shorts covered with stains are gonna roll up to your door. We show up in a professional manner, we may not be strikingly handsome (as much as you wish we were) but we dress appropriately for the work we do and our hauling equipment is top-notch. Just cause we deal with trash and hauling garbage in Modesto don't mean we look like garbage. We show up, work efficiently, and get that junk outta your life before you even know it. We recently moved into a house and there was a bunch of trash left over from the previous tenants. They even left an old hot tub behind. We called Modesto Junk Removal and they were really nice and professional. They gave us a good price and said they could swing by and pick it up at their next available spot. They came in, picked up the junk, and were gone in no time at all! Definitely would recommend them. - Steven R.
We decided to rebuild a deck in our backyard that was old and beat down. We tore the old one down and needed someone to come out with a good sized trailer to haul it away. We jumped on Google and typed in "junk removal near us" like everyone does and we quickly found these guys. We gave them a call. They gave us a great price and said they could do it the next day! Awesome service! - Jim B. 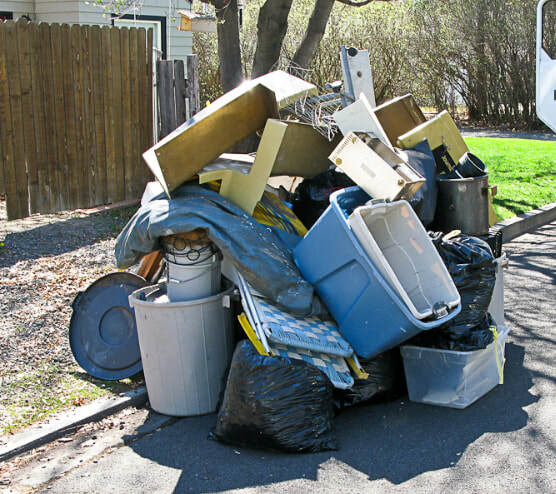 So, if you've grown a sick and tired of looking at that pile of trash and junk and what that stuff off of your property then don't hesitate to give us a call. You can reach us easily here at 209-500-4066 and we'll grab our truck, hook up our trailer, lace up our boots, and slip on our gloves. We'll pick it up and be happy to do it. Give us a call. You'll be glad you did.